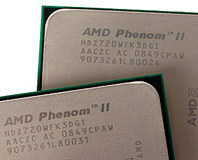 AMD has followed Intel's transition to DDR3 with the launch of its socket AM3 CPUs this week. That's not to say AMD and its customers still don't have reservations about how much performance the extra memory bandwidth offers over 1,066MHz DDR2 when comparing the cost of upgrading to DDR3. 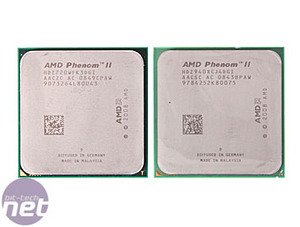 However, the same was said about the transition from DDR to DDR2 for AMD - as it was then, it wasn't until AMD jumped on board that the price of memory really started to tumble and the upgrades were more viable. There were other factors in play too - AMD jumped from DDR-400 to DDR2-800, effectively doubling its memory bandwidth and, coupled with a bout of oversupply from the memory manufacturers, caused a prolonged period of very low DDR2 prices that never really recovered - to the customers' benefit. Since AMD increased its official DDR2 support to 1,066MHz with the K10 architecture, the jump to DDR3 isn't that great. Official support comes in at just 1,333MHz, with an "unofficial" 1,600MHz available on some motherboards as well. That's not a huge jump and with ever higher latencies that naturally accompany every DDR evolution, does this mean anything significant for AMD's new products? The thing is, AMD is forced to move to DDR3 eventually - simply because DDR3's data density is designed to be higher, so should we start wanting 4/8GB sticks of memory, DDR3 is our only option. Here's the problem though: to get 1,333MHz DDR3 running, the current Deneb core limits it to just one DIMM per channel - this effectively makes the DDR3 performance limit to just 4GB in today's markets. If four DIMMs are installed, they are automatically cranked back to 1,066MHz - it's the same problem AMD faced way back with its first K8 products which were limited to two DIMMs at DDR-400MHz or four at 333MHz. So, if you want more than 8GB of memory, our conclusion will be to run DDR2 because it'll also be at 1,066MHz, but with lower latencies, thus improving performance. We doubt this is fixable with a BIOS update and so AMD will have to bring out another core revision addressing this issue and how long that will take is anyone's guess. AMD has been clever with its socket AM3 CPUs though - they are backward compatible with current AM2+ boards and support DDR2 memory. 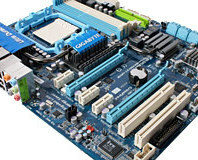 It's unlikely that you'll be able to buy a board with both together, but we don't think it's impossible to create such a board; however, like mixed boards from Intel, you can't run DDR2 and DDR3 at the same time because their topologies don't match. This effectively means if you want to use your current AM2+ board and DDR2 but drop in a brand new socket AM3 part (assuming you didn't already jump on a Phenom II 940), you can, before upgrading to DDR3 at a later date. The same could be said for Intel's consumer Core 2 CPUs as well though - there's the option to buy either a DDR2 or DDR3 motherboard and memory, because the LGA775 socket has been around a while after all. 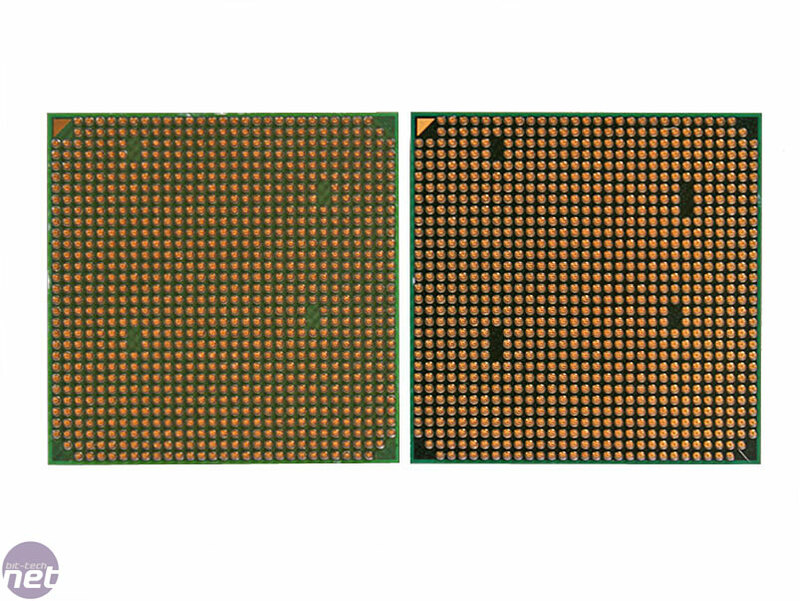 This is also why Intel's Core i7 CPUs see such a high barrier to upgrading and with this removed for AMD's parts, it stands in better sted for widespread adoption. 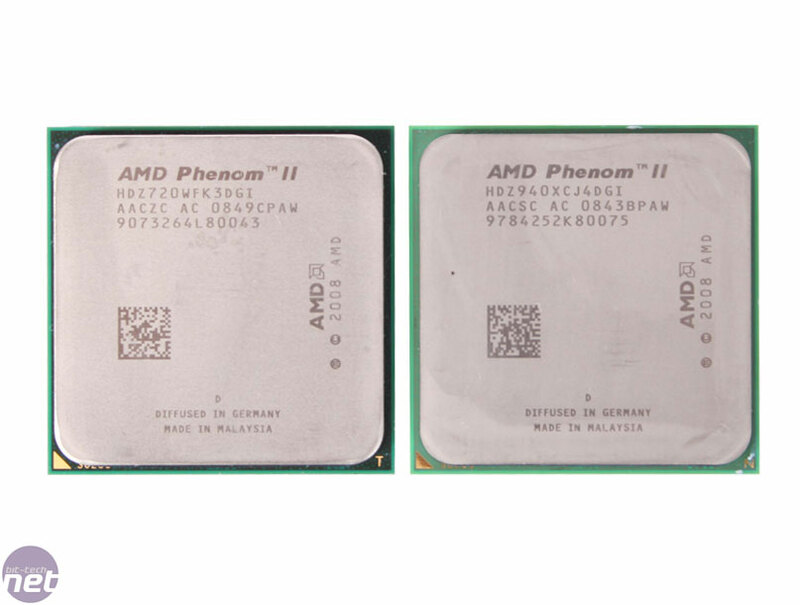 Strangely, none are faster than the Phenom II X4 940 (3.0GHz) already released, and even the cheaper 920 (2.8GHz) is faster than the fastest socket AM3 chip, the 910 (2.6GHz). 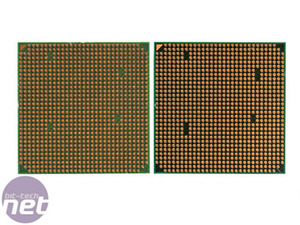 As the transistor count is exactly the same as the 45nm AM2+ CPUs, we can only assume the cores are identical but AMD chose to disable support, in addition to a different package pin-out to the 938-pin AM3 CPUs. It's rare to progress to a new socket and see a drop in the number of pins, but this is how AMD has made 940-pin AM2+ CPU not fit in a 938-pin AM3 motherboard socket, but to allow AM3 processors to fit in AM2+ boards. With a refined design to that will please most enthusiasts, Gigabyte's GA-MA790FXT-UD5P socket AM3 motherboard is on the test bench. 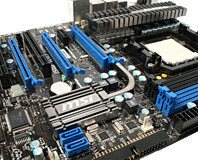 We find out whether this Gigabyte motherboard's new found beauty is more than just skin deep.